On Friday 25 July, Touched by Olivia was delighted to be part of the celebrations as the students, teachers and friends of Auburn Public School opened their inclusive playspace. Driven by two passionate teachers, Kathleen Hansell and Naomi Bonus, this project took 4 years. The results show that the project was worth the wait. Two years ago we first met with Kathleen and Naomi, and knew that this was the perfect addition to our Inclusive School Playspace Pilot. The school playground can be a challenging place for many children. • 14% of children aged 4-17% have mental health problems. To combat these major issues, Touched by Olivia is guiding schools to develop and activate inclusive playspaces and strategies utilising our learnings and support networks. The outcome of this pilot is to deliver a comprehensive toolkit, endorsed by State and Federal government, that can be implemented to foster inclusive play within the school community. 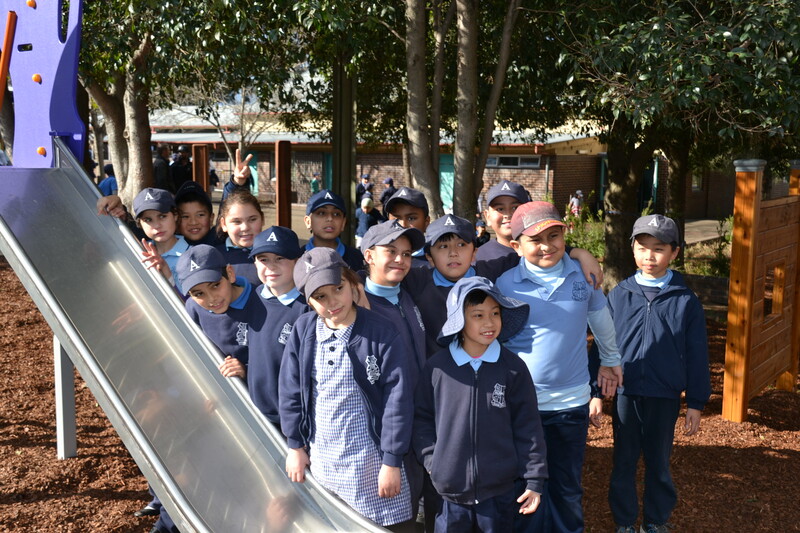 Earlier this year, we opened our first school project at St Marks, Drummoyne. Children from the support unit and the Student Representative Council were delighted to be the first to play. Over $120,000 was raised by the teachers over the period of the project. Thanks to Dooleys, NSW Government, Transgrid, Auburn Council, Variety Club, Exterior Landscapes, Gary Walden Trust, McDonalds and the Parents and Friends Association of Auburn Public School.